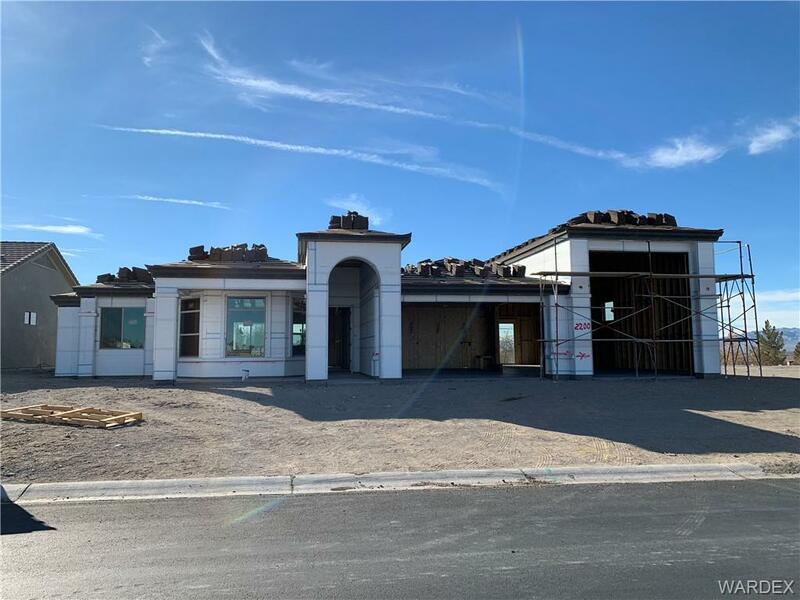 Under construction home in gated golf course community with clubhouse with friendly staff. Home offers it all with 3 large bedroom and 2 baths. Master offers walk in shower double sinks and walk in closets with slider out to back covered patio and golf course. Open concept floor plan with views of the Los Lagos Golf Course. Kitchen is in the heart of the home with plenty of space for large dining and bar stools which makes entertaining a delight. Full length covered patio with access from the master bedroom and living area. Looking for room for the RV and your desert toys? This garage will not disappoint with 1398 sq including 49.5 ft deep x 15ft wide RV garage and the other side 20 x 25 (overal width of 35ft) RV garage door is 13.6 ft high . Views of the course can be enjoyed from the garage as the builder has included sliders out the back to take in the view .Come take a look as there may still be time for color selections!